So... have you been following your New Year's resolutions? 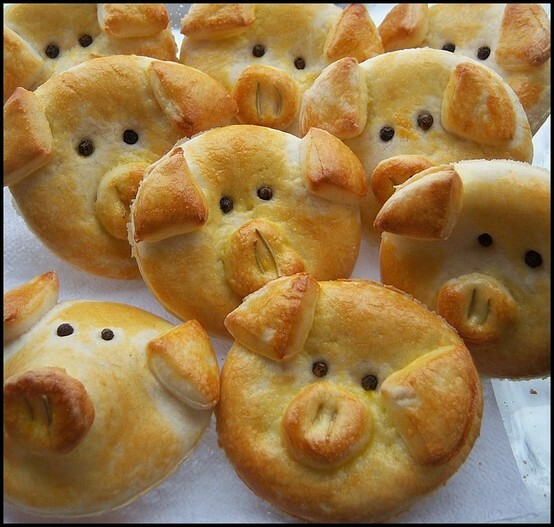 Did you make any? I DIDN'T! I'll be honest.. I don't follow them anyway... so why set myself up for disappointment? Sounds logical to me... free as the wind! Have you taken down your Christmas decorations? Wow... that is one job I DO NOT LIKE. I'll be honest.. I'm VERY GROUCHY when it comes to takin' down, wrappin' up, packin'... it just isn't my thing. PLUS.. .this year I made a promise to my hubby (why I did this... I have no idea!) that I would go through ALL of the decorations and slim them down quite a great deal. It's so hard.. some years you feel like decorating more than other years.. so you hate to "purge" anything! Hhhhmmm.... I wonder if I could disguise some of the decorations in different boxes... maybe he would think it's some of his Mother's stuff that she left the family (you know..the things you don't want to get rid of because you would feel guilty...but you have NO use for them.. let alone like the stuff!). Now that could be a plan... I'll have to think more on that concept. I'm so excited... since I have been "pinning", I have found the most wonderful quilts, techniques, ideas...it's just mind boggling. Look at this pretty, awesome block! Is it not gorgeous? I was showing some of the girls how to "pin" at a quilting retreat not too long ago and I came across this beauty. I did my research, found the ruler on the Internet, called the quilt shop that sold it... told all the girls in the room.. and placed an order for 16 rulers with the quilt shop owner. She was so happy! Then I found out where to purchase them wholesale (for Karen @ Cinnamon's Quilt Shoppe here in town). Now she'll be carrying the rulers so they will be easy for all of you to find! WAIT.. I'm not finished...here's another beauty I'm making. I'm putting wool on the inside - with the outer edge to coordinate with the shades of wool. 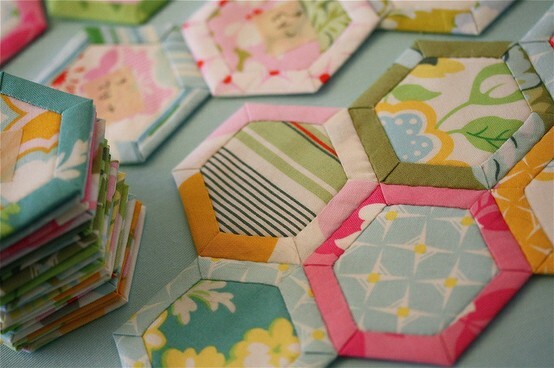 I'm then going to use the octagons to be the border on a long table runner I'm designing! It's so easy and FUN!! 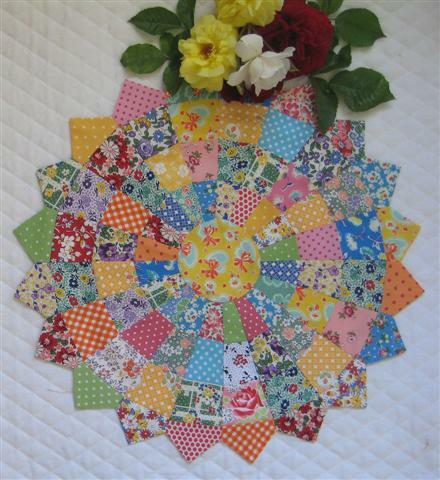 These are called "Hickory Nuts" and Karen (Cinnamon's Quilt Shoppe) will be carrying these also. I think I'm going to offer these two technique classes on the 2nd quarter calendar at Cinnamon's. If you live in the Jacksonville area... keep watching the website and the calendar! I am so excited about this idea... I have MANY cut out and ready to stitch... I work on them while watching TV in the evenings... so it's hard to tell when I'll have enough ready to get started on my new creation. I'm on a mission... step back... or get sewn in the stitches! HA! Happy Sewing... chat with you tomorrow!